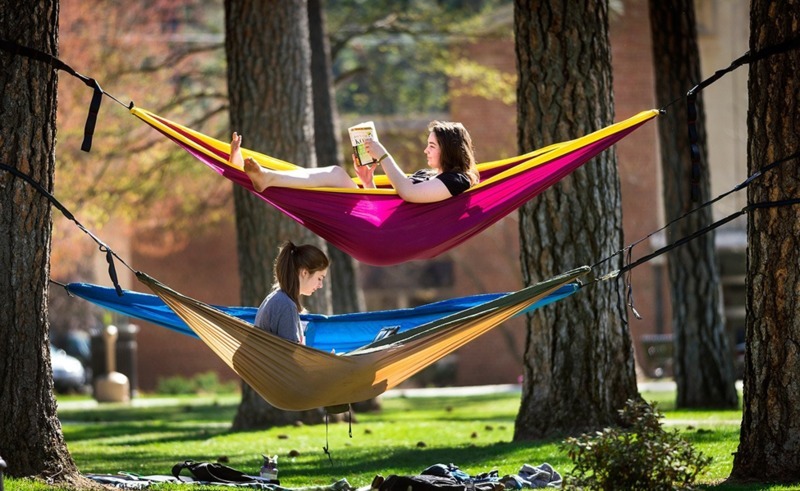 The Loop, where hammock city lays and the best place to get hit in the head with a Frisbee or catch a virgin pinecone. Although it is commonly known as “The Loop”, the green space that is considered the centerpiece of Whitworth's campus is in fact rectangular. From an aerial view, it is obvious that this part of campus is a natural landscape of pine trees and grassy lawns that is not circular, as its name suggests. Established in 1914, the original section of “The Loop” that is recognized today was in fact a road that "looped" around the interior of the campus. By the 1970s, the road was removed thus making it a much more inviting green space. Since then, The Loop has become the connecting point between much of campus. The Loop’s rectangular and diagonal walkways directly connect a plethora of buildings on campus, including: McMillian, Ballard and Warren Halls, the Hixon Union Building, Harriet Cheney Cowles Memorial Library, Lindaman Center, Weyerhaeuser Hall, Seeley G. Mudd Chapel, Dixon Hall, Cowles Auditorium and McEachran Hall. Within “The Loop,” students throw Frisbees, set up hammocks and participate in annual events such as Spring Fest which is a festival where students and the Spokane community are invited to purchase food from local food trucks, play in various athletic events and jump in gigantic bouncy houses. Various guest artists conclude the festival every year with an evening concert in front of The Campanile. The Campanile is the lone structure contained within “The Loop” that rivals the heights of the neighboring Ponderosas. Italian for “bell tower”, the Campanile was unveiled in 1955. “The Loop” has been a part of many noteworthy events throughout Whitworth’s history. In 1916, students performed Shakespeare’s As You Like It in “The Loop”, honoring the three-hundredth anniversary of his death. In May of 1970, a Whitworth anti-Vietnam War protest erupted on campus after the Kent State shooting. 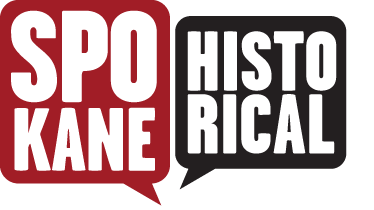 “The Loop” provided a venue for three hundred and fifty student protesters, who listened for three hours to speakers who condemned the Vietnam War. In recent years, the Spokane Windstorm of 2015 greatly impacted “The Loop”. The infamous storm knocked down over 120 trees on Whitworth’s campus. A number of these trees were uprooted in The Loop, destroying the landscape and damaging nearby buildings. Harriet Cheney Cowles Memorial Library and Lindaman Center were the two buildings connected with “The Loop” that were hit by Ponderosas. It was a miracle that nobody on campus was injured during the storm. 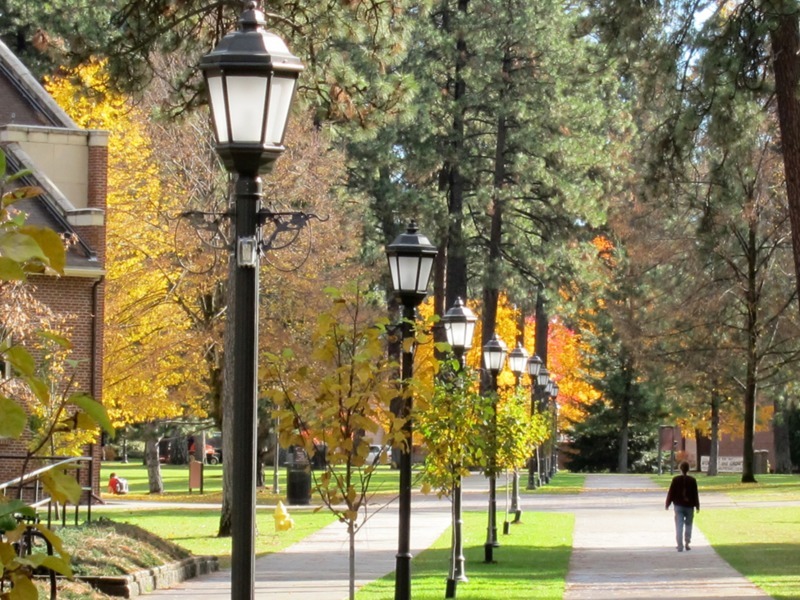 “The Loop” continues to be the centerpiece of Whitworth University. 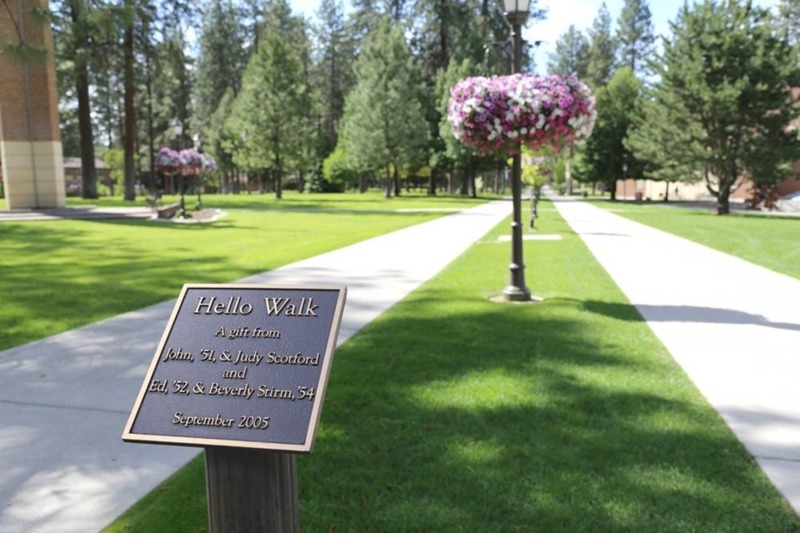 The exterior Hello Walk provides a welcoming space where students and staff alike add to the experience of being known at Whitworth. The Loop’s interior still contains tall Ponderosa Pines that stand over students, employees and visitors as they utilize the open space to study, protest, relax, pray, and play. 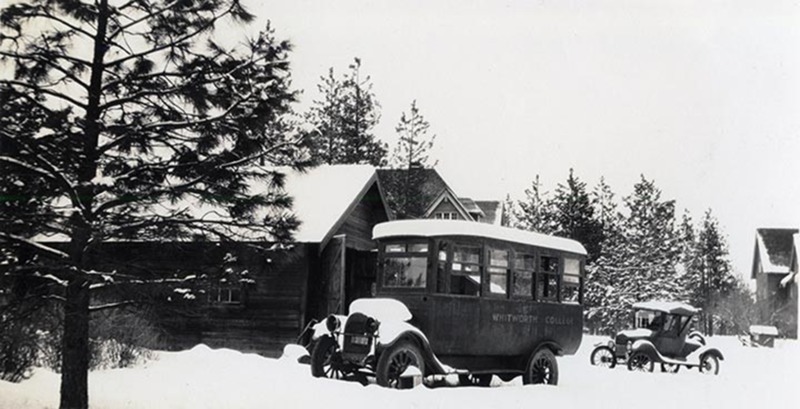 Noah McDonald , “The Loop: The Path That Connects Whitworth ,” Spokane Historical, accessed April 19, 2019, https://spokanehistorical.org/items/show/800. Soden, Dale. An Enduring Venture of Mind and Heart: An Illustrated History of Whitworth University. 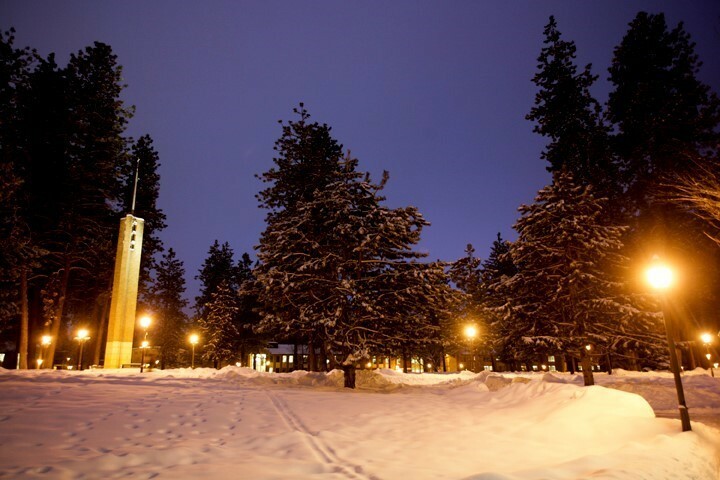 Spokane: Whitworth University, 2010.